I was working at a Children’s ministry event that Saturday afternoon when I got the text. After a swift sadness, I was hit with a sudden jolt of shock. Just last night, Grimmie held a concert in Orlando that my friends and I had planned to attend, until one by one, all of our plans fell through. Immediately, I needed to know what happened. My heart racing, my friend told me that she was gunned down during her meet and greet after the show. On June 10, 2016, Kevin James Loibl entered the The Plaza Live with the clear intent to shoot Grimmie. Further harm was avoided after Marcus Grimmie, Christina’s brother, tackled the man. This tragic event shook fans all across the globe. A sudden wave of grief hit all social media outlets that weekend, as fans and many celebrities took to memorializing Grimmie. The internet saw many dedicate songs to her life, such as Selena Gomez, singing a moving version of Transfiguration by Hillsong Worship, and Justin Bieber, fighting back tears as he dedicated his song Purpose. Lisa, a student at the South Lake campus, knew that the singer must’ve had a huge impact during her time on The Voice when Adam Levine, Grimmie’s former coach, offered to pay for the entire funeral. Today, her memory still lives on in the hearts of fans and thanks to her family, Christina Grimmie’s impact lives on. On February 17th, the Grimmie family released their daughter’s song, Invisible, which she recorded before her death. According to Marcus Grimmie, his sister recorded somewhere from 50 to 60 songs before her death and their family plans to put the recordings to good use. Currently, the family is setting up the Christina Grimmie Foundation in her honor. All proceeds from her released music will go toward this fund, which will in turn serve causes that Christina Grimmie was passionate about during the course of her life. In personal experience, I have never gotten as emotional about a celebrity death as I did with the life of Christina Grimmie. Her impact was so powerful in so many ways and that legacy will continue to live on. 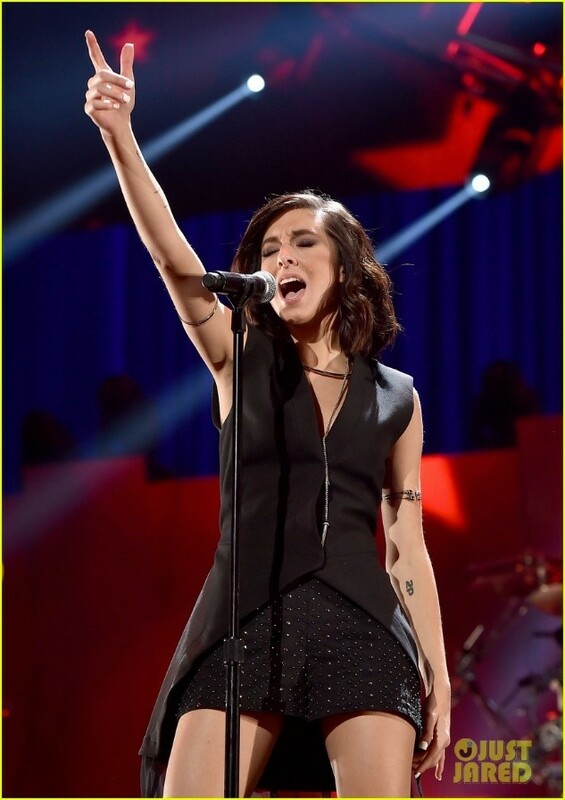 In her spirit, the Christina Grimmie Foundation will push further to change more lives. Support this cause by purchasing Christina’s new song, Invisible, and spreading the word about how this family overcame a tragic situation and turned it for good.